0. 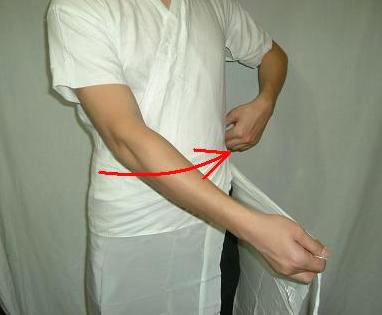 A susoyoke is a skirt-type undergarment for a kimono, used by women. 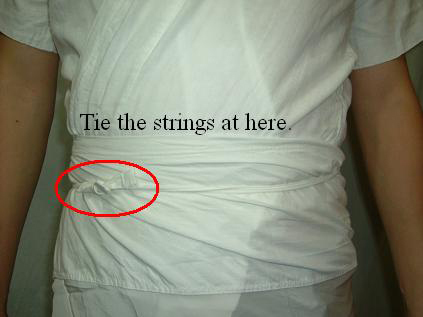 For your information, men use a momohiki or a fundoshi. 1. Wrap the left end of a susoyoke first. 2. Tie a sash on the right side. 3. 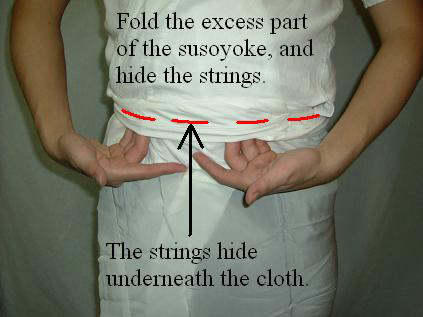 Fold the excess part of the susoyoke at the top, and hide a knot by it.